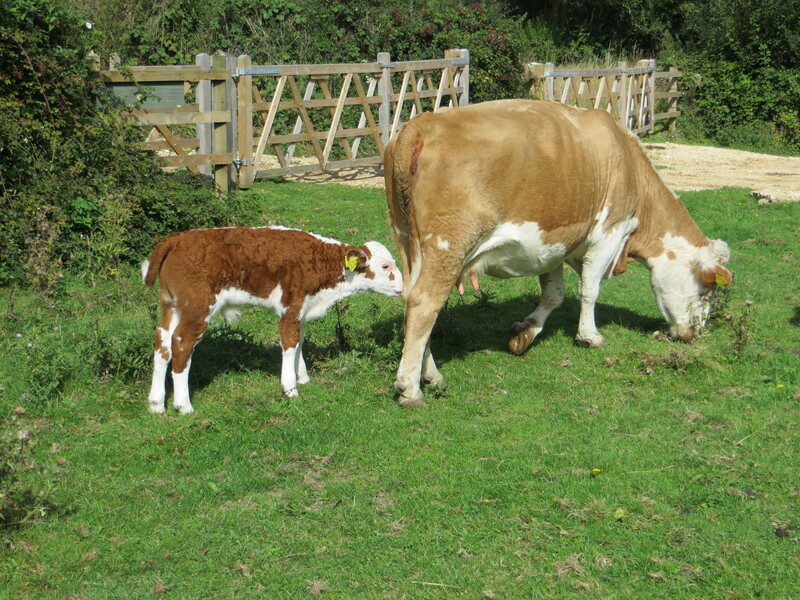 For the latter part of August my two daughters booked a holiday cottage at Rushcroft Farm in the New Forest for a week. 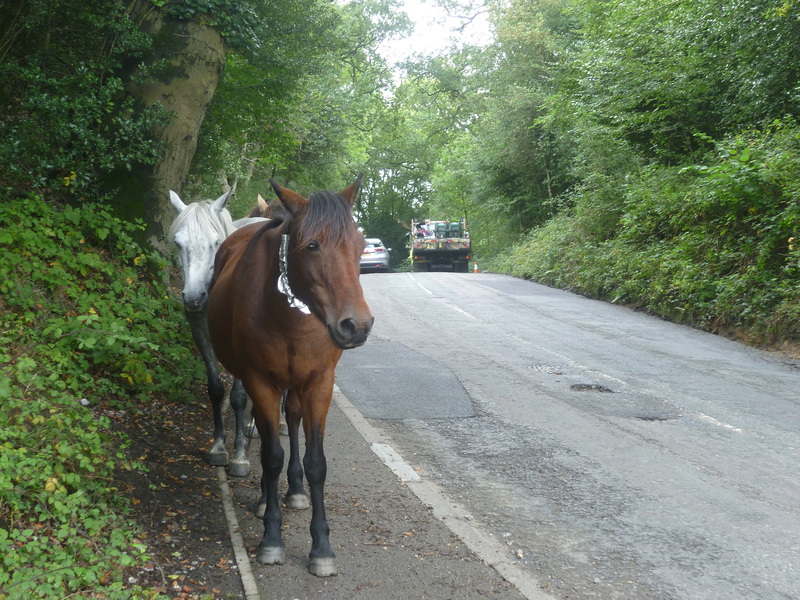 I didn’t need any persuading when they suggested that they also booked for my caravan to stay on the farm’s caravan site. As departure day approached the 10 day forecast began to look more and more depressing. So it was that I packed and set out on a rainy day. The rain continued for all of the 90 mile journey down the M3, giving me an unpleasant task in setting up the van with electricity and water. Fortunately I’d decided not to take an awning with me. A few hours later daughters and grandson arrived so we adjourned to their cottage to grumble about the weather and console ourselves with some cups of tea. Then we decided on a phone call to the local Hare and Hounds in the village to book a table for a 7 o’clock dinner. The following day brought us some much better weather so after making a packed lunch we set off through the Forest to the village of Burley. 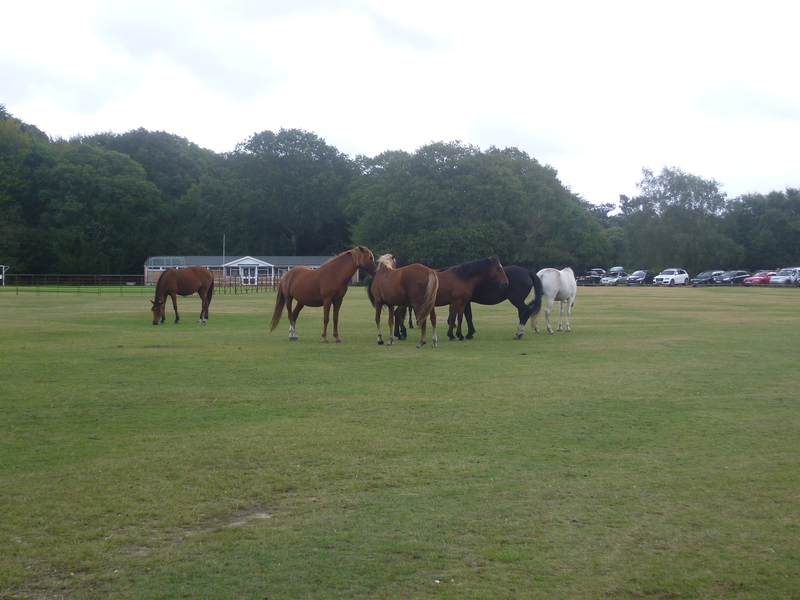 We left the car outside the village and after watching the ponies for a while, took a walk to explore. 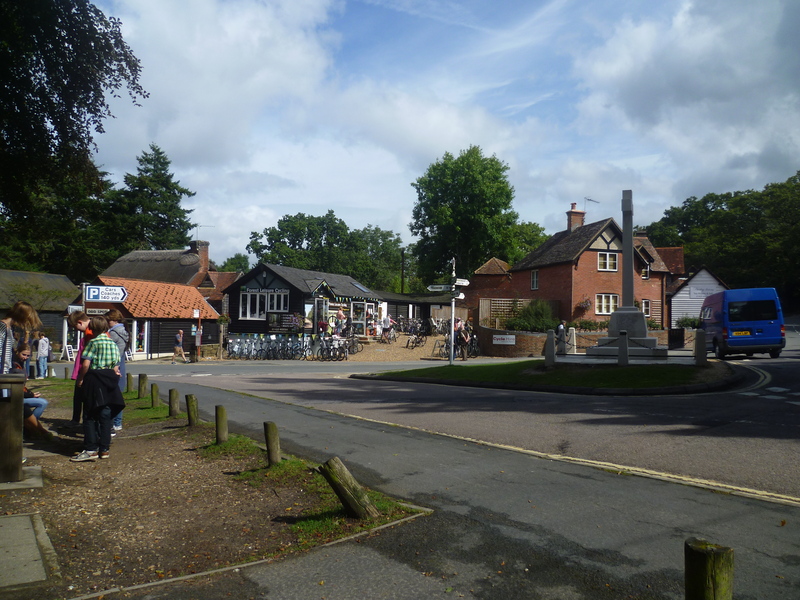 Burley is one of the New Forest villages which draws the crowds. Many of the Forest walks begin and end here. One of several New Forest cycle hire companies has a depot in the village which had crowds of people waiting to get their bikes. We decided that our parking spot would make an ideal place to have lunch. In the afternoon we continued our drive through the Forest and stopped at the carpark nearest to the deer sanctuary. Spotting deer in the New Forest isn’t always easy but close to this spot there’s a purpose built viewing platform overlooking a meadow area where a herd of fallow deer regularly gather. 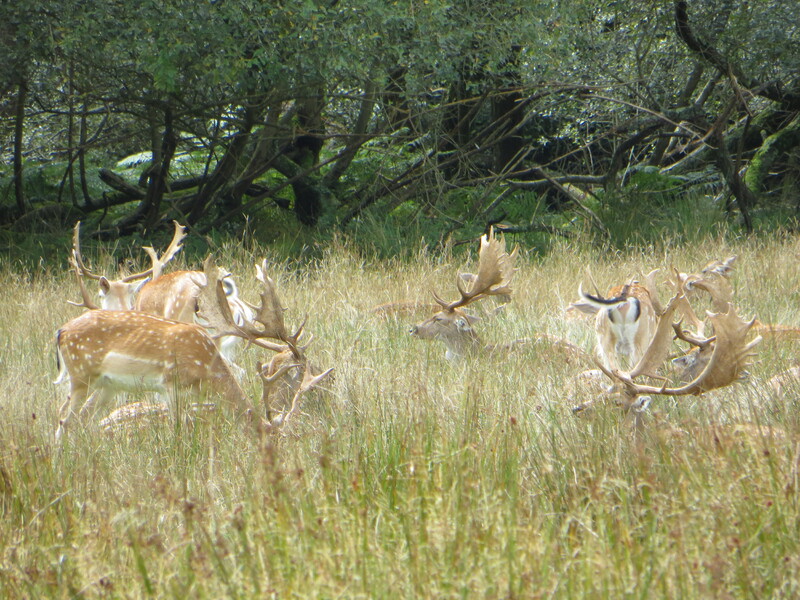 Deer viewing isn’t guaranteed but the herd is fed daily during the summer months by a keeper so the deer are more than happy to remain in the main meadow and are accustomed to having people around. 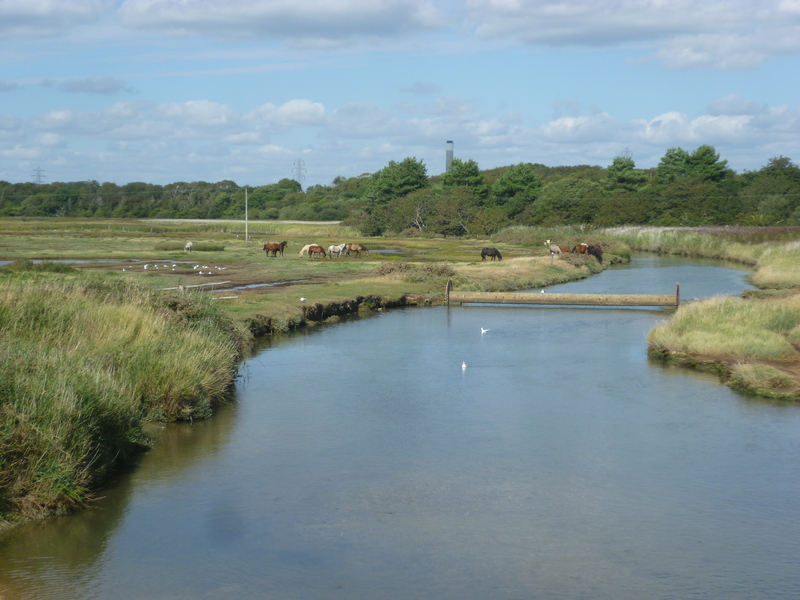 Next day we decided to set off for Mudiford Quay which is where the road ends at the mouth of the Stour river. The large carpark was almost full so it was a matter of driving around until a place was found. 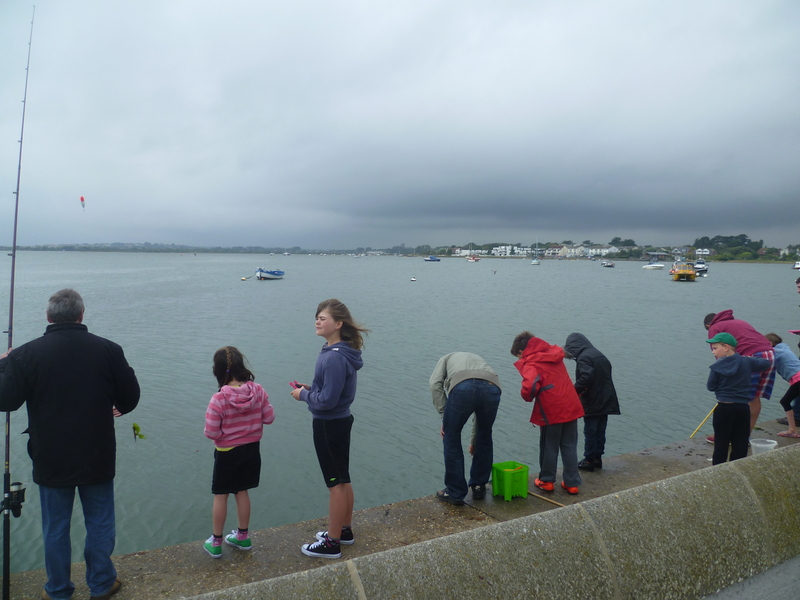 The weather was cloudy and dull but in spite of that the quay side was packed with children and adults all fishing for crabs. High speed motor boats operate from the quay and there was no shortage of young people who were prepared to go out to sea in the boats and come back drenched. We had lunch there, but because of a short sharp shower, we had to take it in the car. 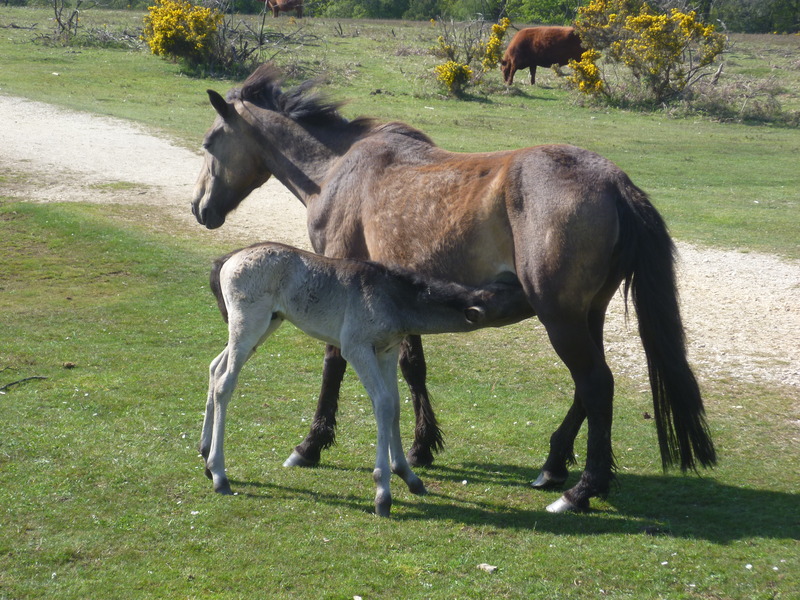 After lunch we took a five mile circuitous route but finally ended up on Hengistbury Head. We parked the car and with the girls and Sam walking, and me riding my bike, we followed the path across the headland and down to the beach where we were on the opposite side of the river mouth. On the way back to our base at the farm we decided we would make another visit to the Hare and Hounds. 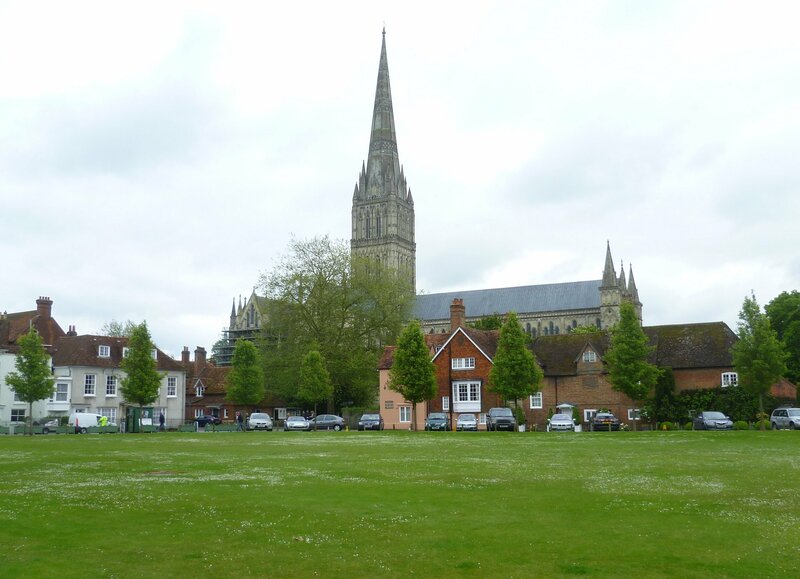 The weather looked reasonable so we decided to drive through the Forest and make our way to Salisbury to visit the town and the English Heritage site at Old Sarum. 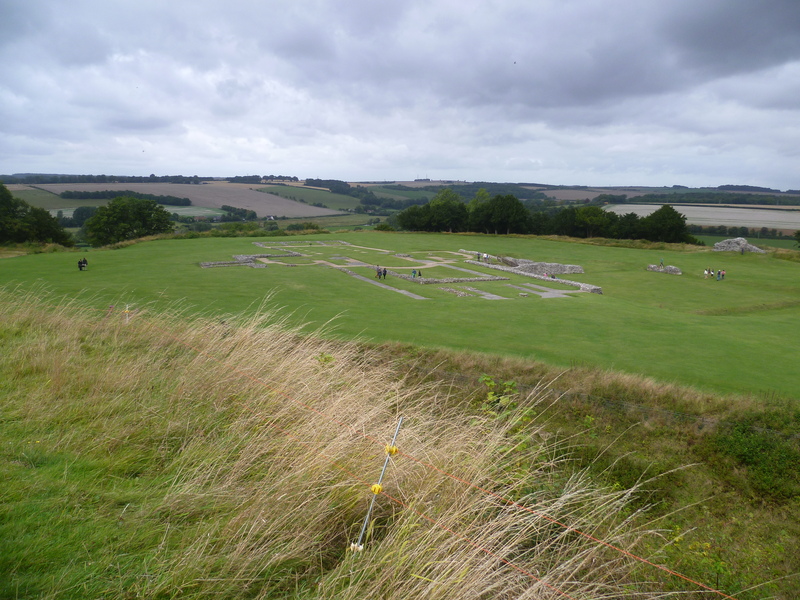 It was to Old Sarum that we went first. The huge man-made hill was first used in Iron Age times but has been used by other invaders since. The Romans settled on it and the Saxons and the Danes fought over it. Harold Godwinson had his base here and after his defeat in 1066 at Hastings, William the Conqueorer brought his army to the hill where he paid of his mercenaries. It’s also believed that it was from here that he gave orders for the inventary which became the Domesday Book. Over the next 200 years a castle was built together with an Abbey. But because both Castle and Abbey wanted to expand, friction broke out between the two factions, and eventually the Bishop decided that they would move their Abbey Church two miles away, down to the river-side plain. So by the early 1200’s the new Cathedral was started. Much of the original building material was carried down to the new site. As the new city increased in population, so did the original lose it’s importance. Later in the day we drove down to the town and took a walk alongside the river and around the Cathedral precincts. On Sunday we planned to drive to Calshot Point at the mouth of Southampton Water. 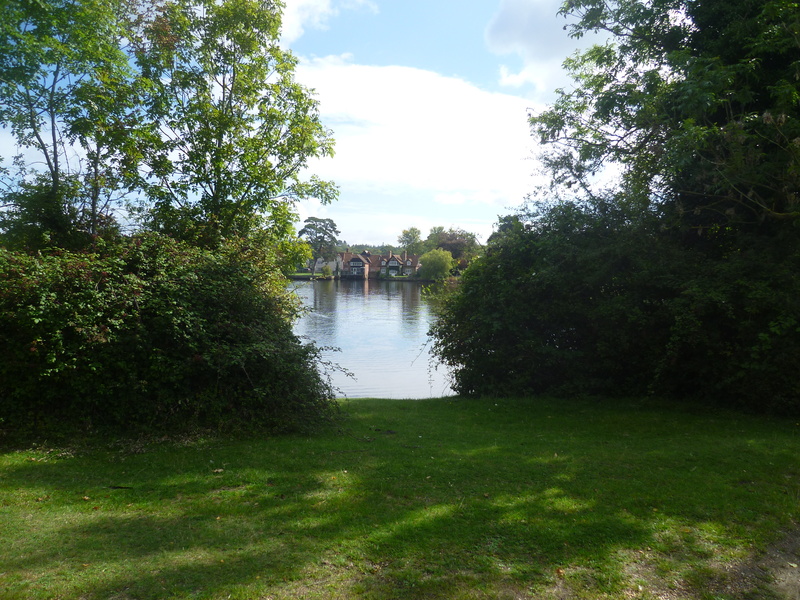 Our route took us through Beaulieu so we pulled into a car park to enable us to explore. 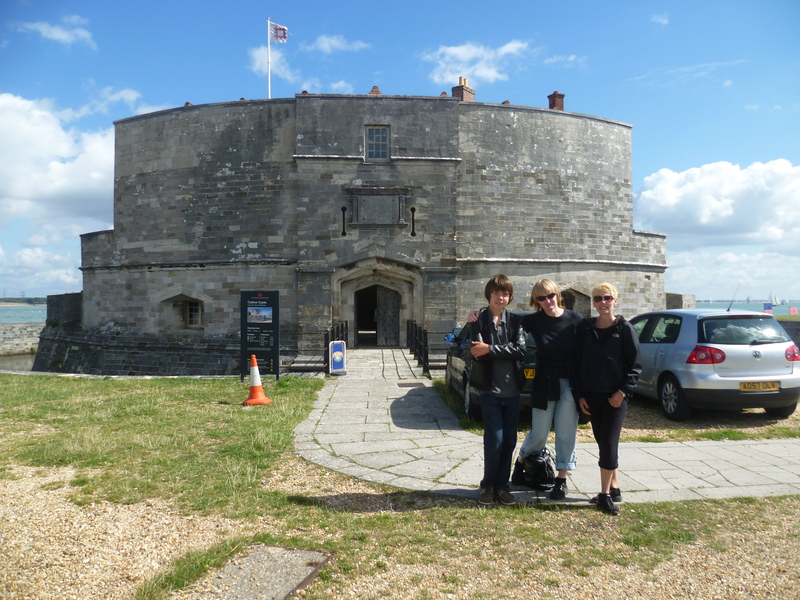 Then we drove on another 10 miles to reach the Castle at Calshot. 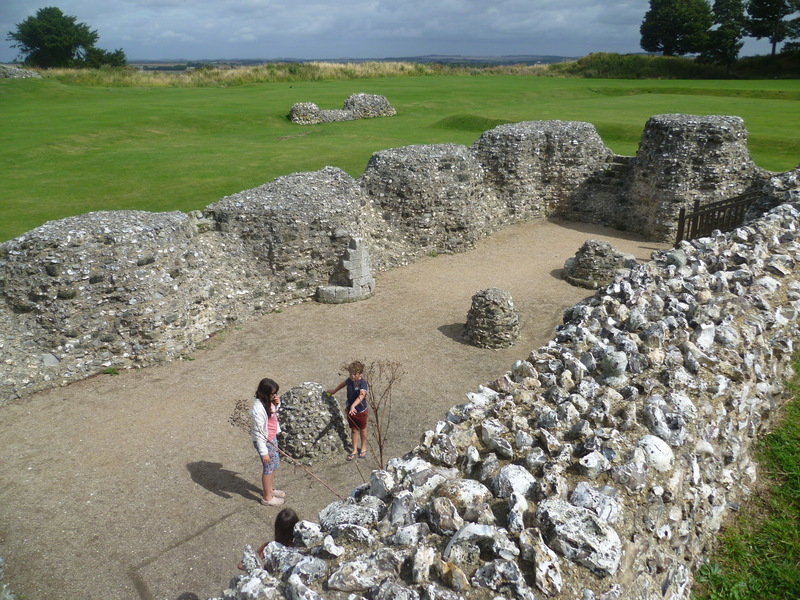 This castle was one of a series built on the orders of Henry VIII. Having upset most other European Kings by falling out with the Pope over his marriage affairs, he was ever fearful of being invaded by our near neighbours. So the costal defences were quickly erected. 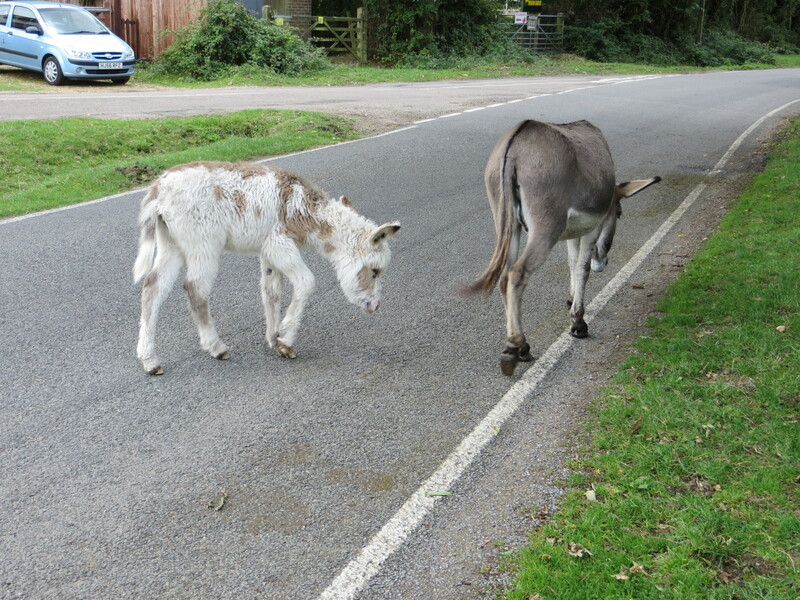 Later in the day we drove along the coast and parked at the Lepe Country Park. After a leisurely lunch on the beach, the family took a walk through the Park whilst I took the opportunity of a cycle along the coast road. After such a lovely day we rounded it off at the Hare & Hounds. Next day it was time to return home.